Penny Gregory Interiors specialises in providing hand-crafted, bespoke soft furnishings to enhance the style of homes throughout Hampshire and neighbouring counties. We aim to save you time and remove anxiety when choosing window treatments that reflect your taste and style within your home. You can find out more about the products and services we offer on Our Products and Services page. You can find photographs of soft furnishing projects that we have delivered on our Portfolio page. Penny has over 25 years’ experience within the soft furnishing industry and a strong background in textiles, both retail and wholesale. She has been sewing and making from an early age and has a real passion for fabrics and textiles. It is this passion that drove her to start her own soft furnishings business over 20 years ago and continues to inspire her to produce top quality, hand sewn soft furnishings for her customers. Penny works with a team of equally highly skilled and experienced curtain makers using a combination of traditional skills and current technology to ensure a high-quality finish every time. Between them they now have over 100 years curtain making experience. Step One – If you have a project that you think we can help you with please use the form on our Contact Us page. We endeavour to respond to an initial enquiry within one working day, either by phone of email to discuss requirements and arrange a home visit. Step Two – During your home consultation you will choose from a wide range of fabrics that complement and enhance your style. Where needed, Penny will provide advice and guidance to help you choose just the right window dressing for your home. Measurements will be taken and a free no obligation quote will then follow. Step Three – Should you choose Penny Gregory Interiors, we aim to produce your soft furnishings within 4 to 6 weeks after your order is confirmed (subject to fabric availability). Step Four – Your soft furnishings will either be delivered to you or delivered and installed by us on a date agreed with you. A 50% deposit is required to confirm the quote for the work to commence and a final invoice will be presented upon delivery or installation. Penny Gregory Interiors also provides a bespoke service for interior design professionals and other high-end trade clients. 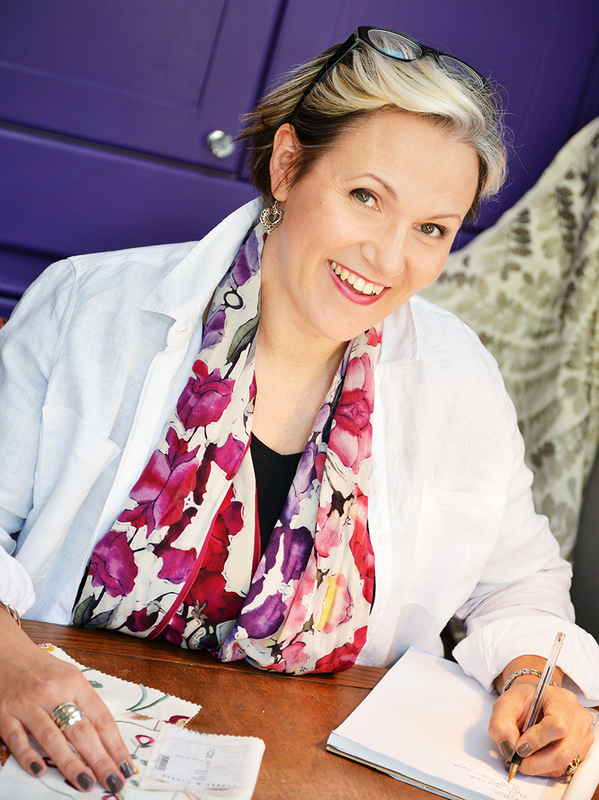 In addition to and as a result of her extensive experience and knowledge, Penny also offers a training and mentoring service to other soft furnishing businesses and provides advice on business development to small businesses. For more details, go to our Trade Services page.